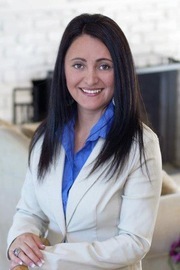 “Homes are a lifetime investment coupled with strong personal ties.” My Name is Alexandra Caceres. I’m a long time resident of Sonoma County, married with two beautiful girls. I’m a graduate of the University SEK where I obtained my Doctor Degree at Law. I have several years of experience in Property Management in Sonoma County, and I am capable to represent you as Seller or Buyer in the difficult current market conditions and handle your Real Estate transaction the most professional way. After meeting with me you will feel comfortable and confident that I will look out for your best interest and negotiate the best terms possible in your benefit. I approach real estate with sensitivity, knowledge, and professional competence. I have a marketing plan designed for your real estate needs, whether you are buying, selling or relocating. I will make your real estate experience pleasant and smooth.